Not the book of the movie, but the collection of short stories by Isaac Asimov. I’ve read this book several times before and enjoyed it, although this time I found it to be more dated than I remembered, both in its characterisations of technology as well as it’s handling of gender. Still enjoyable, but not the best book I’ve read recently. The development of robot technology to a state of perfection by future civilizations is explored in nine science fiction stories. More correctly titled “you die horribly and it probably involves plasma”, this light hearted and fun read explores serious answers to silly scientific questions. The footnotes are definitely the best bit. A really enjoyable read. Posted on March 4, 2019 March 4, 2019 Categories BookTags non_fiction, Randall_Munroe, science, triviaLeave a comment on What If? This is the third book in the Leviathan Wakes series by James SA Corey. Just as good as the first two, this is a story about how much a daughter loves her father, perhaps beyond reason, moral choices, and politics — just as much as it is the continuation of the story arc around the alien visitor. Another excellent book, with a bit more emphasis on space battles than previously and an overall enjoyable plot line. Worth a read, to be honest I think the series is getting better. The third book in the New York Times bestselling Expanse series. NOW A MAJOR TV SERIES FROM NETFLIX For generations, the solar system - Mars, the Moon, the Asteroid Belt - was humanity's great frontier. Until now. The alien artefact working through its program under the clouds of Venus has emerged to build a massive structure outside the orbit of Uranus: a gate that leads into a starless dark. Jim Holden and the crew of the Rocinante are part of a vast flotilla of scientific and military ships going out to examine the artefact. But behind the scenes, a complex plot is unfolding, with the destruction of Holden at its core. As the emissaries of the human race try to find whether the gate is an opportunity or a threat, the greatest danger is the one they brought with them. We’ve owned this book for a while, but ironically Catherine lost it for a bit. It seems very topical at the moment because of the Marie Kondo craze, but its been floating around our house for probably a year. The book is written by an 80+ year old and explains the Swedish tradition of sorting your stuff out before you keel over, which seems like a totally reasonable thing to do when the other option is leaving your grieving kids to work out what on earth to do. The book isn’t as applicable to people not at the end of the lives — it for example recommends starting with large things like furniture and younger people are unlikely to have heaps of unneeded furniture. That said, there is definitely advice in here that is applicable to other life stages. The book is composed of a series of generally short chapters. They read a bit like small letters, notes, or blog posts. This makes the book feel very approachable and its a quite fast read. I enjoyed the book and I think I got some interesting things out of it. D�st�dning, or the art of death cleaning, is a Swedish phenomenon by which the elderly and their families set their affairs in order. Whether it's sorting the family heirlooms from the junk, downsizing to a smaller place, or setting up a system to help you stop misplacing your keys, death cleaning gives us the chance to make the later years of our lives as comfortable and stress-free as possible. Whatever your age, Swedish death cleaning can be used to help you de-clutter your life, and take stock of what's important. Margareta Magnusson has death cleaned for herself and for many others. Radical and joyous, her guide is an invigorating, touching and surprising process that can help you or someone you love immeasurably, and offers the chance to celebrate and reflect on all the tiny joys that make up a long life along the way. 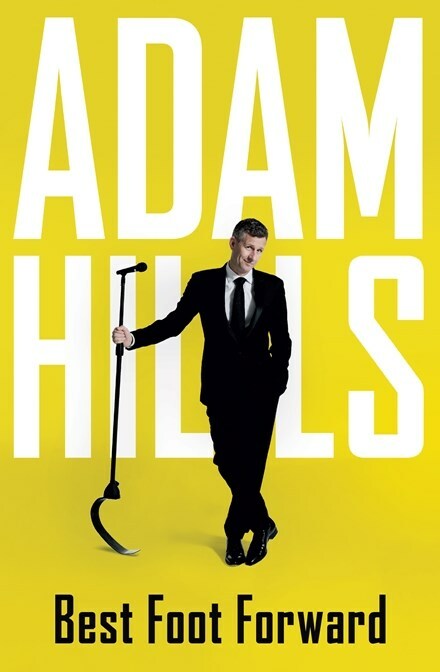 Catherine and I have been huge fans of Adam Hills for ages, so it wasn’t a surprise to me that I’d like a book by him. As an aside, we’ve never seen him live — we had tickets for his show in Canberra in 2013, but some of us ended up in labor in hospital instead, so we had to give those tickets away. One day we’ll manage to see him live though, he just needs to get back to touring Australia more! Basically, its nice to get on stage and say things, either entertaining the audience or in my case perhaps educating them a little (I give technical conference talks). However, that’s not the most important thing. You need to work out why you’re on that stage before you go out there. What is the overall thing you’re trying to convey? Once you know that, everything else falls into place. I think this is especially true for keynote speeches, which need to appeal to a more general audience than a conference talk where people can pick from a menu. What Adam seems to be saying in his comedy (at least to me) is to embrace life and be good to each other. Adam is a super positive guy, which is delightful. There is something very special about someone who lifts up those around them. I hope to be that person one day. Another fast run read from Mr Scalzi, this book is the sequel to The Collapsing Empire. I think this book is actually better than the first, which I guess is fair given the first had to set the universe up. I particularly like the twist about two thirds of the way through this one, and I think the universe has a lot of potential to be really interesting in future books. Mr Scalzi remains on my I-buy-everything-he-does list. I wish he’d write another book in the Old Man’s War universe. The Consuming Fire by John Scalzi is the dazzling follow-up to The Collapsing Empire - a space opera in a universe on the brink of destruction. The Interdependency, humanity's interstellar empire, is on the verge of collapse. The Flow, the extra-dimensional pathway between the stars, is disappearing, leaving planets stranded. Billions of lives will be lost - unless desperate measures can be taken. Emperox Grayland II, the leader of the Interdependency, is ready to take those measures. But it's not that easy. There are those who believe the collapse of the Flow is a myth - or an opportunity for them to ascend to power. While Grayland prepares for disaster, others prepare for civil war. A war that will take place in the halls of power, the markets of business and the altars of worship as much as between spaceships. Nothing about this power struggle will be simple or easy . . . and all of human civilization is at stake. A very well written tale of a Wall Street quant who left during the GFC to adventure in startup land and ended up at Facebook attempting to solve their monetization problems for an indifferent employer. Martinez must have been stomping around Mountain View because his description of the environment and what its like to work inside a Silicon Valley company ring very true to me. The instant New York Times bestseller, now available in paperback and featuring a new afterword from the author--the insider's guide to the Facebook/Cambridge Analytica scandal, the inner workings of the tech world, and who really runs Silicon Valley “Incisive.... The most fun business book I have read this year.... Clearly there will be people who hate this book — which is probably one of the things that makes it such a great read.” — Andrew Ross Sorkin, New York Times Imagine a chimpanzee rampaging through a datacenter powering everything from Google to Facebook. Infrastructure engineers use a software version of this “chaos monkey” to test online services’ robustness—their ability to survive random failure and correct mistakes before they actually occur. Tech entrepreneurs are society’s chaos monkeys. One of Silicon Valley’s most audacious chaos monkeys is Antonio García Martínez. After stints on Wall Street and as CEO of his own startup, García Martínez joined Facebook’s nascent advertising team. Forced out in the wake of an internal product war over the future of the company’s monetization strategy, García Martínez eventually landed at rival Twitter. In Chaos Monkeys, this gleeful contrarian unravels the chaotic evolution of social media and online marketing and reveals how it is invading our lives and shaping our future. Its been ages since I’ve read a book in a couple of days, let alone stayed up late when I really shouldn’t in order to finish a book. Artemis is the book which broke me out of that rut — this is a fun, clever, light read. Its quite different when compared to The Martian, but I think that’s good. Weir has attempted to do something new instead of just playing on his previous successes. An excellent book, and Mr Weir is solidly landing on my buy-everything-he-writes list. She grew up on the moon, of course she has a dark side... Jazz Bashara is a criminal. Well, sort of. Life on Artemis, the first and only city on the moon, is tough if you're not a rich tourist or an eccentric billionaire. So smuggling in the occasional harmless bit of contraband barely counts, right? Not when you've got debts to pay and your job as a porter barely covers the rent. Everything changes when Jazz sees the chance to commit the perfect crime, with a reward too lucrative to turn down. But pulling off the impossible is just the start of Jazz's problems, as she learns that she's stepped square into a conspiracy for control of Artemis itself - and that now, her only chance at survival lies in a gambit even more unlikely than the first. A very readable set of essays from Robyn Williams, the broadcaster of the Australian Science Show, not the comedian. Covering the state of modern science, journalism, the ABC, and whether modern democracy is doomed in an approachable and very readable form. I enjoyed this book greatly. A good Sunday morning and vacation read if you’re into approachable non-fiction. 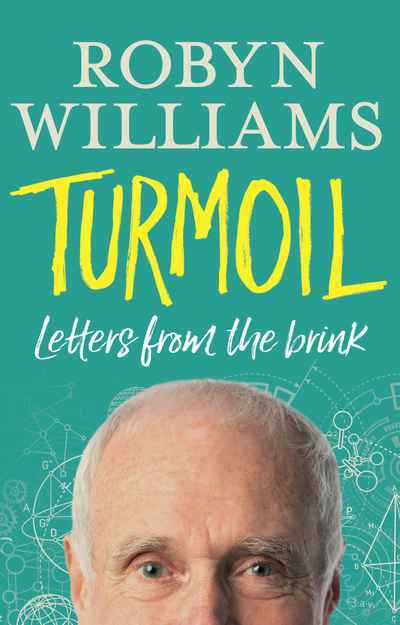 Robyn Williams, presenter of The Science Show on ABC Radio, reveals all in Turmoil, a searingly honest and often blackly funny reflection on his life, friends, the people he loves and loathes, and a multi-faceted career that includes over forty years on radio. Robyn writes frankly about everything, from performing with Monty Python, his impressions of fellow scientists Richard Dawkins and David Attenborough, and his unique insights on climate change and the recent devaluing of science, to frugality and being treated for bowel cancer. This book is an interesting and light read, and came kindly recommended by Michael Carden, who pretty much insisted I take the book off him at a cafe. I don’t regret reading it and would recommend it to people looking for a light autobiography for a rainy (and perhaps cold) evening or two. This book is highly recommended and now I really want to go for a run. After 20 incredible years as part of a musical comedy duo, Scared Weird Little Guy, Rusty Berther found himself running a marathon in Antarctica. What drove him to this? In this hilarious and honest account of his life as a Scared Weird Little Guy, and his long journey attempting an extreme physical and mental challenge at the bottom of the world, Rusty examines where he started from, and where he just might be going to.